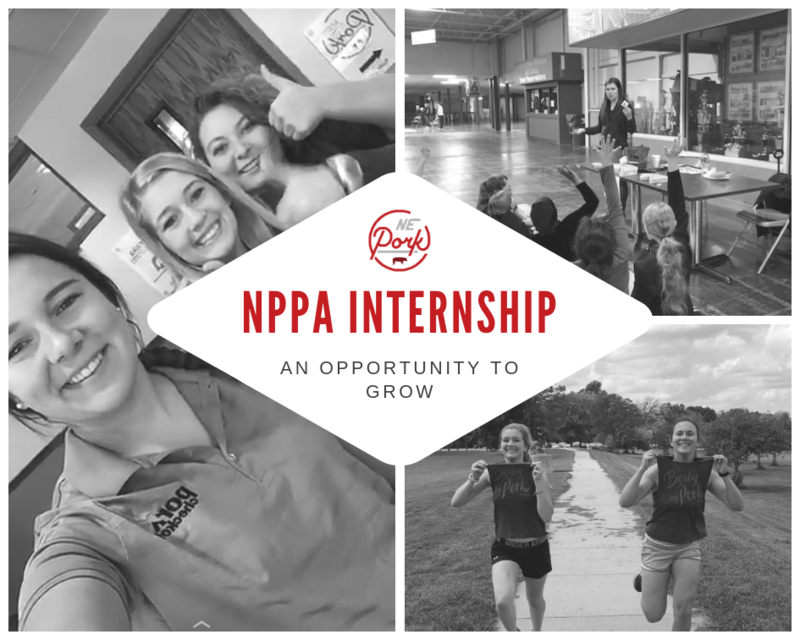 The Nebraska Pork Producers Association is accepting applications for participants in the highly-valued Internship Program. The application deadline is September 25. Interested students should submit their resume, cover letter and three references to Kyla Habrock via email: kyla@nepork.org. Meet the 2018 Interns for the Nebraska Pork Producers Association! Rachelle Allen, Magdalene O’Brien, and Haley Zabel. The Internship Program with the Nebraska Pork Producers Association will provide hands-on learning opportunities for college-age students. The Nebraska Pork Producers Association will work with each Intern to establish a Signature Project which is challenging and yields achievable results, while matching strengths and interests of the individual with specific needs for the pork industry. Ultimately, the Signature Project will be designed to address the priorities of and will return value to the pork industry, while providing a meaningful, professional and career-focused experience for each Intern. The Internship Program with the Nebraska Pork Producers Association is year-long. However, there is the possibility that an internship can be tailored to fit alternate time-frames. Interns will be considered temporary employees of the Nebraska Pork Producers Association. It is expected that an Intern will work at least 10 hours a week during the fall and spring semesters, and up to 40 hours a week during the summer. Interns will earn $10.60 an hour and will not receive any additional employee benefits. Some travel is required. The Nebraska Pork Producers Association will provide a vehicle or mileage reimbursement when driving is required. Interns will work in the Nebraska Pork Producers Association Office. Interested students should submit their resume, cover letter and three references to Kyla Habrock via email: kyla@nepork.org by September 25.